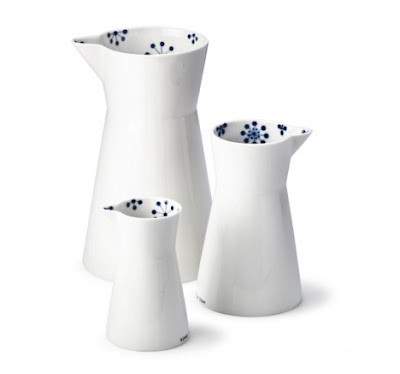 I'm really liking the house-wares collections of Anne Black, a Denmark-based shop with handmade ceramics in very simple but pretty Scandinavian design elements. 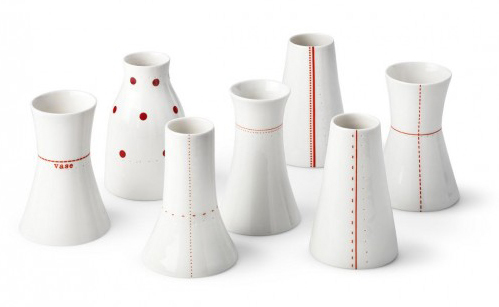 One of my favorite: the Seam Mini Vases above made of white porcelain and red silk screen details and dotted impressions. They might only stand at three to four inches high, but a small grouping of them would certainly call for attention. from $34, shopanneblack.com. And guests will fawn over these Black is Blue Pitchers. I know I would and then proceed to crave the entire hand-painted collection - especially this precious teapot. I don't even drink tea that often, but I'd create entire parties around this little pot. 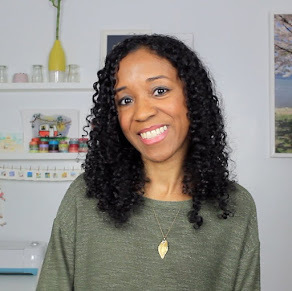 from $39, shopanneblack.com.